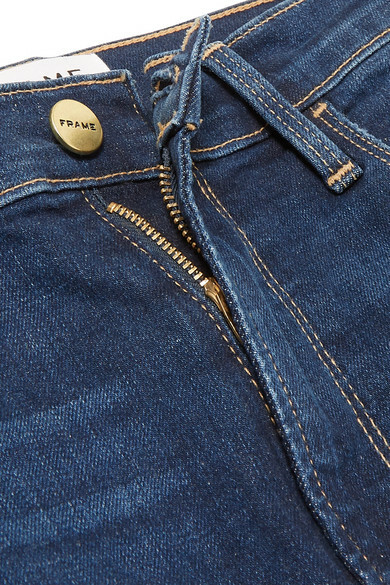 FRAME’s ‘Ali’ jeans are updated for spring in a dark-blue wash the brand calls 'Mano'. 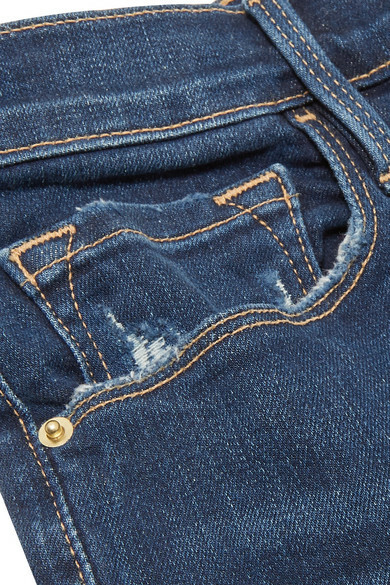 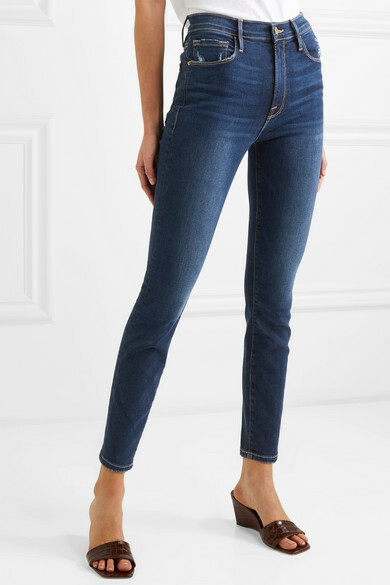 Cut from stretch-denim with a high-rise waist and skinny fit that creates the illusion of a longer silhouette, this pair is slightly faded for a worn-in look. 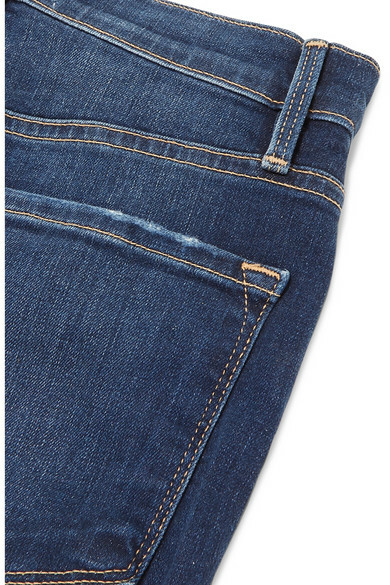 Style yours with a slouchy sweater and heels or a camisole and flats. 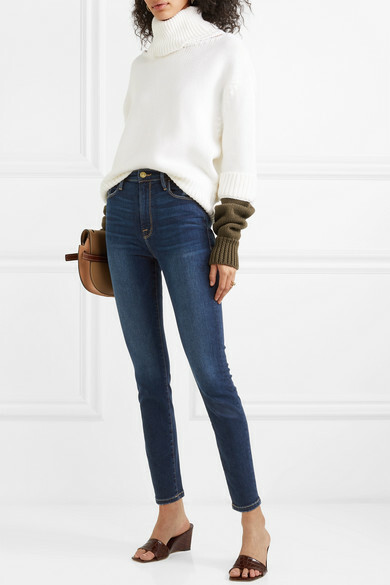 Shown here with: Monse Sweater, Loewe Shoulder bag, STAUD Sandals, Sophie Buhai Earrings, Paola Vilas Ring.